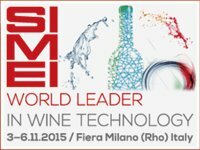 Being at SIMEI to present CDR WineLab® officially in Italy. So following the outstanding success of last edition at SIMEI, where we hosted a lot of visitors interested in our analysis systems, we will be back to the world’s leader exhibition in wine technology to launch CDR WineLab® and CDR WineLab® Junior officially, two instruments specifically designed for the analysis of wine and must, enhanced with new functions and optimized in methods, with a wider parameter panel and endowed with LCD touchscreen that improves the interaction. In Milan you can also see CDR BeerLab® available in two versions, Touch and Junior. We look forward to seeing you at Hall 11, Stand T22. However, SIMEI isn’t the only international event for CDR. Within few days of the exhibition in Milan, we’ll be for the first time at Brau Beviale the exhibition where both the experts and the players involved in the whole process chain of beer and beverage production meet. Brewers and brew masters will be able to appreciate the advantages that CDR BeerLab® and CDR BeerLab® Junior can provide during both the quality control process and the monitoring of the brewing process. Our goal is to officially present in the international arena our analysis systems for quality control of beer, already presented in Italy during the BeerAttraction in Rimini. At SIMEI we are Hall 11 Stand T22, at BrauBeviale we are 6 Hall, Stand 329. Any questions about CDR WineLab®? Click here. Are you a brewer or a brew master? Do you want to discover all the advantages you can enjoy using CDR BeerLab®? Click here. CDR WineLab® and CDR BeerLab® for beverage quality control at SIMEI and BrauBeviale 2015 was last modified: May 22nd, 2017 by CDR s.r.l.